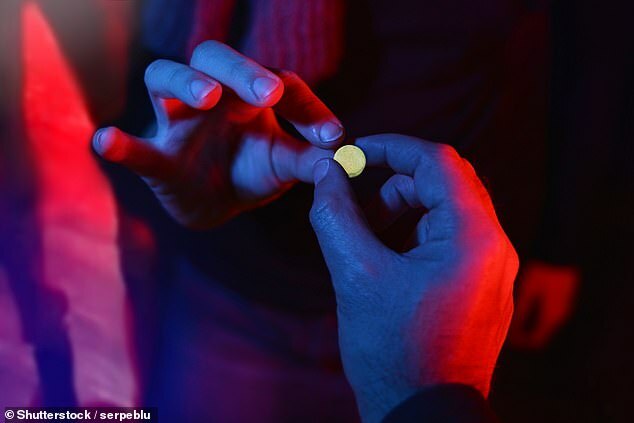 The popular party drug MDMA – or ecstasy – may ‘reopen’ narrow windows in the brain that allows us to re-learn better social behaviors, new research suggests. MDMA has been given breakthrough therapy status by the Food and Drug Administration (FDA) because it has shown such promise for treating PTSD. Scientists have observed the way that MDMA increases hormones and neurochemicals associated with positive emotions and reduces activity in the brain’s fear centers. But it hasn’t been exactly clear what it is about the drug that makes therapy and traumatic memory re-processing more effective. The key may lie in ‘critical periods’ – windows of time when we are most impressionable and when our memories of events and people are most impactful. The latest research from Johns Hopkins University found that MDMA’s effects on neuroplasticity seem to re-open a window of opportunity for social bonding and rewiring trauma-related faulty connections in the brain’s social reward circuit. We’ve known about ‘critical periods’ since the 1930s, thanks to geese and their goslings. What we call imprinting happens very quickly and very early on in the lives of animals, including geese, in whom we first noticed the pattern. In the first 24 hours of their lives, there’s a flurry of what the new study calls ‘exuberant’ activity in the brains of these baby geese. The brain is uniquely plastic – or changeable – at this time. As a gosling searches desperately for a mother to connect to, his or her neurons are equally eager to make new connections. These neural connections encode important information and memories. If the fluffy, impressionable newborn doesn’t find its mother goose in that window of time, it will choose an alternative – just about anything, including an inanimate object – to bond to and pattern its behavior off of. After 24 hours, the window of opportunity closes. For many mammals, including humans, this hormone surges when they bond with other social relations as well, such as friends and relatives. Oxytocin tells the brain that social connection feels ‘good’ through the reward system, facilitating the neural connections that encode memories and information. Scientists have previously observed that MDMA causes hormone system to produce more oxytocin. In the new study, the Johns Hopkins researchers wanted to see if the drug would allow them to ‘reopen’ this ‘critical period’ for social bonding in a unique way, using mouse models. Typically, adult mice don’t have the ability to form tight and memorable social bonds – it’s a behavior only seen in juvenile mice. But for their experiment, they gave some adult mice MDMA while they were in enclosures with other mice and a certain type of bedding for 24 hours, then transferred them to enclosures where they were alone, with a different kind of bedding for the second 24 hours. The second group of mice went through the same procedure, but were given a saline placebo, instead of MDMA. By the end of those 48 hours, the mince no longer had MDMA in their systems. So the researchers put the mice back into a series of linked enclosures, where they could wander freely. Scattered throughout were areas with the type of bedding the mice had been introduced to with other animals, and others with the type of bedding they’d encountered when they were alone. Mice that had been given MDMA spent more time in enclosures with other mice and in ones with bedding like the kind from enclosures where they’d spent time with other mice previously. But they didn’t see this same social behavior in the mice that had not been given MDMA. The researchers said that this kind of behavior would only normally be seen in juvenile mice, not adults like the animals they studied. And the effects continued, even two weeks after the mice had received a single dose of MDMA. This suggested to the researchers that MDMA has a unique ability to ‘reopen’ this window of social bonding through increased oxytocin levels, which trigger the kind of neuroplasticity that psychologists believe may help trauma victims to reshape painful memories. The study authors believe that this ‘re-opening’ may also allow patient to develop closer, more trusting bonds with their therapists, which may help them to have more productive sessions on overcoming the trauma. And it may help to ease the social symptoms of PTSD, such as feeling distrustful of and avoiding other people. In the mice, the effects of just one dose were lasting, as human trials have suggested MDMA would be for us. If MDMA is approved by the FDA, it will likely be given in a single dose after several therapy sessions, and two therapists present for the eight-hour session after the MDMA dose. Patients would spend the night at the clinic, then one or both of the attending doctors would check in on them daily for a week after the MDMA was administered. The new study suggests that this close contact and a rewired social reward circuit may be the key thing helping patients overcome trauma. Some studies suggest that after just one MDMA session, up to 76 percent of trauma survivors no longer fit the clinical criteria for PTSD. Clinics are currently doing larger-scale phase three trials of MDMA-assisted therapy and, with its breakthrough status, the treatment may be approved and available for legal use as soon as 2021 if it continues to prove safe and effective. What is Magic Johnson doing?